Although the 1947 original film that’s based on James Thurber’s 1939 short story may be an influential piece, it might be a bit too lame to be watched today, and therefore I feel that it was perhaps not a bad decision to remake the classic. I was hoping that it could be as brilliant and life-changing as the Oscar-winning Life of Pi, which was released around this time last year, but unfortunately it turned out to be just a good-looking picture with an ordinary script, a cliched ending and in-your-face brand/product placements, and like the original, not faithful to the actual short story. I’m sure at least some of you have seen a couple of inspirational movies that were about a boring, gutless, hardworking middle-class white collar who embarks on a trip and in the end, because of everything that he goes through in that trip, he comes back with courage to stand up for himself, leaves his job and gets together with the love of his/her dreams. Well, this film’s plot is not that much different. The titular protagonist, Walter Mitty (Ben Stiller), is a negative asset manager for Life Magazine who frequently daydreams to escape his mundane life. An important photograph in his department’s care goes missing during the devastating transition period of the company, thus giving him no choice but to go on trips to search for Sean O’Connell (Sean Penn), the hard-to-reach person who took the picture. It’s not thought-provoking, nothing too deep to ponder about after watching, just plain and simple. It doesn’t inspire the audience in ways that haven’t been done before poignantly by other films like Office Space (1999), Green Street (2005), Devil Wears Prada (2006), and also the not-so-great ones like Wanted (2008), Eat Pray Love (2010), Horrible Bosses (2011), just to name a few. 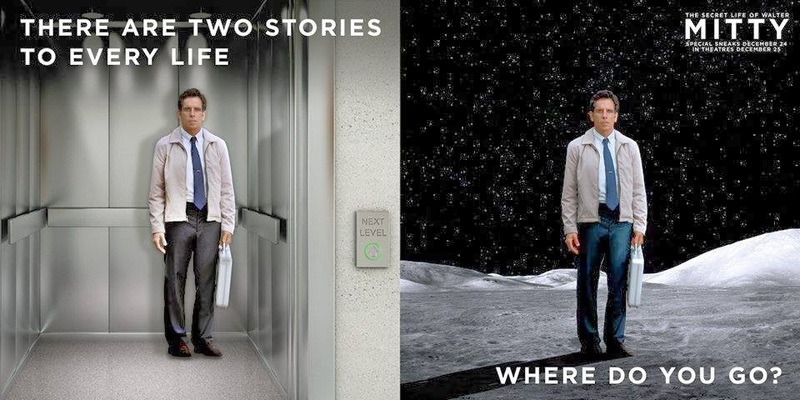 The film spends a lot of time at the beginning with the titular protagonist, Walter Mitty’s daydream fantasies but skips through some parts of his trips in the second half of the film, making it seem like his real life adventures are less essential than the exaggerated imaginations. And that’s what’s most disappointing about the film. But this might be because they only managed to do so much with the production budget of $90 million (that’s 80 million lesser than the rubbish 47 Ronin). After almost 20 years of development hell, I wonder if this final product is the best that could’ve been because Steven Spielberg and Gore Verbinski could’ve been the director at one point and Jim Carrey, Mike Myers and Sasha Boren Cohen, too, have each accepted to the play the lead role at one point before 20th Century Fox came in and got Ben Stiller to lead and direct. It is, without question, a total waste of Kristen Wiig’s (former SNL main cast member) talent as her role as the protagonist’s love interest (named Cheryl Melhoff) didn’t require her showcase extremely hilarious side. I have no complaints with Ben Stiller’s acting performance as Walter Mitty. In this adaptation, the title character is very different compared to the 1947 one played by Danny Kaye. The script of the original film was more or less written to showcase Kaye’s incredibly broad talent in various scenarios of the character’s daydreams but he does indeed have a terrifyingly dangerous but satisfying “secret life” which involves murderers and falling in love with stranger days prior to his wedding, and that still serves the title right despite the script’s unfaithfulness to Thurber’s short story. In this remake, on the other hand, there isn’t much of a “secret life” because this Mitty’s adventures are merely to save his job. But even with that being said, I actually liked this new Mitty more than the annoying, slapstick 1947 version. Although I seem to be criticising the film a lot, I actually didn’t find it too bad. It’s very lighthearted, it has its out-of-place-but-funny moments, a lot people can relate to this Walter Mitty, and have I already mentioned that the cinematography is beautiful? Not enough times perhaps. Interesting fact: The Life Magazine company which the titular protagonist works for in the film is actually do exist but that’s not all, it was to this magazine which James Thurber expressed his dissatisfaction with the script for the 1947 film adaptation of his short story. Not sure if this is to pay tribute to the late author or to pay tribute to the magazine itself, which was actually folded twice in real life and really did lay off many of its employees. The website, too, closed up in less than two years after launching in 2009. The “Major Tom” song: The actual title of the song is Space Oddity, written and recorded by one of my favourite musician of all time, David Bowie. In my lyric analysis, we have reasons to believe that the track was metaphorically about a drug addict who’s always high and gets lost “up there” forever. The movie, however, tries to redefine it as a song about courage, going to the unknowns, and to make fun of Mitty when he “zones out”. Don’t just work hard in Life, live it. Stop dreaming about taking that leap and just do it. Appreciate all employees. And stop trying to record and photograph every great moment with your mobile devices and whatnot, learn to live these moments. Censorship in Malaysia: Nothing was cut at the screening for GSC 2013 Year-End Media Get Together Party. Second opinion: My girlfriend liked the film and praised Ben Stiller’s performance, saying that he was able to project the change in his character without showing a different personality or attitude. Verdict: Decent movie to be watched on big screen for the spectacular sceneries and sound, but don’t expect to find anything new in the story. 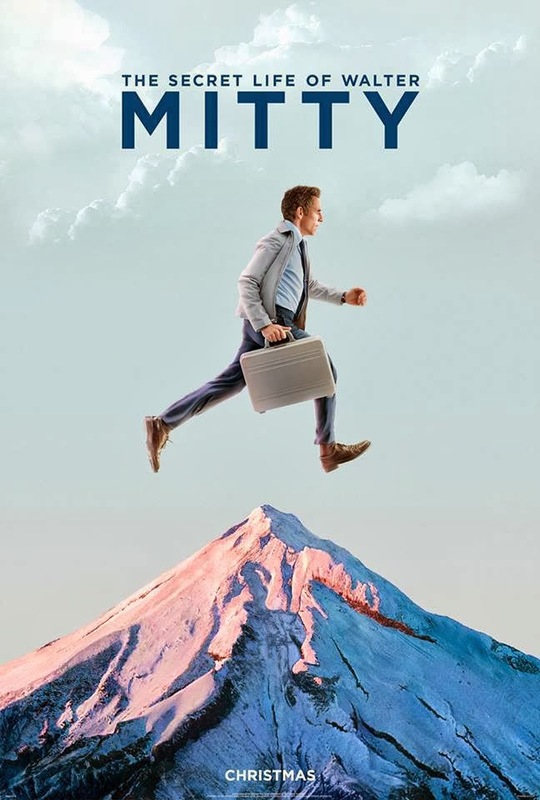 Synopsis: THE SECRET LIFE OF WALTER MITTY is an adventure-comedy celebrating the true potential in everyone. 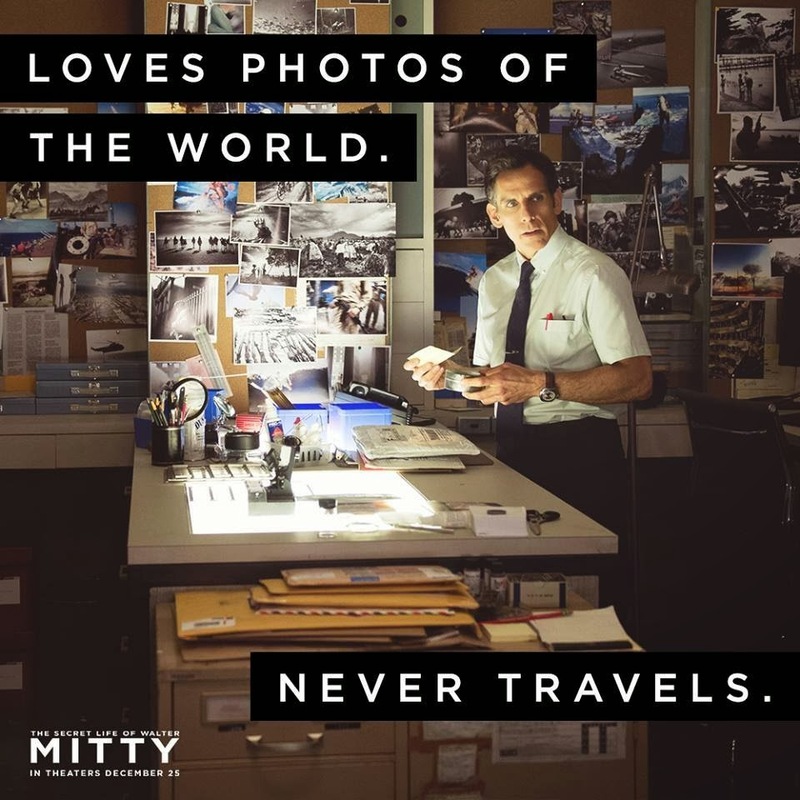 Walter Mitty (Ben Stiller) who also directs) leads a life filled with adventure and romance… but only in his serial daydreaming. In reality, he is a timid photo processor at Life magazine too afraid to even ask out his pretty co-worker. But when his job is put on the line, Walter must at last spring into action and he soon finds himself on a global adventure, living a life more extraordinary than he could have ever dreamed.